​As a pet parent, it is only natural that you constantly worry about your cats when you are not at home. You will particularly worry about whether or not they are getting enough to eat when you are not at home. Did you put out enough food? Do they have enough water? 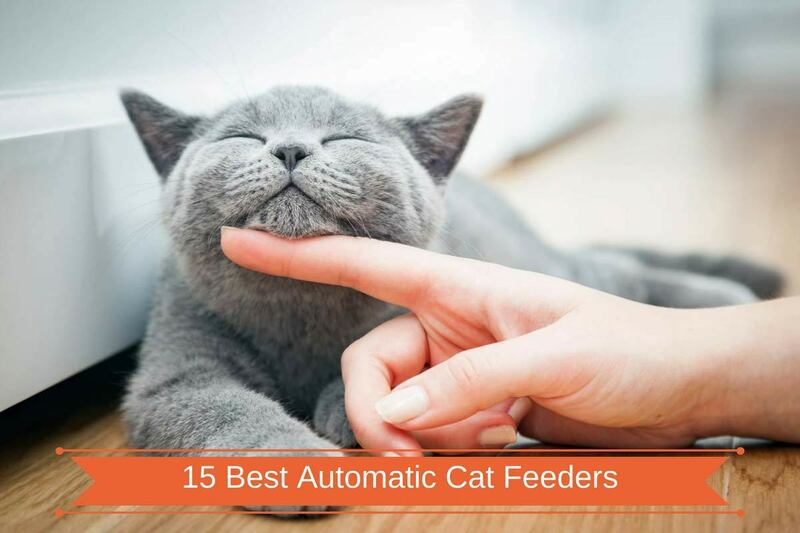 To help you worry a lot less about whether or not your cat has enough food and water, we have prepared a list of 15 wonderful automatic cat feeders. 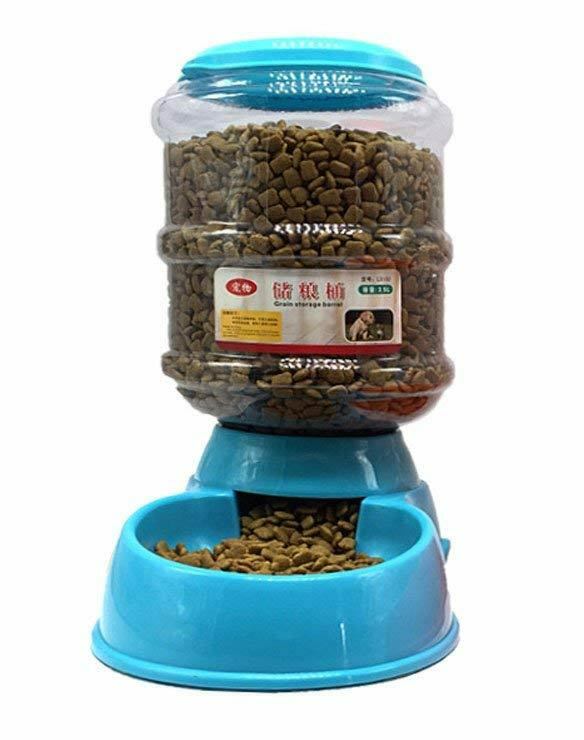 These feeders are a pet parents best friend as they allow you to go about your business knowing full well that your cat will be content; at least as far as food and water is concerned. With that being said, here are the 15 best automatic cat feeders (available in 2018). The WESTLINK Automatic Pet Feeder Food Dispenser is an automatic cat feeder that has all the right features to make your life that much easier. It has a voice recorder that allows you to call your cat when it is time to feed. It is large enough to hold up to 4 meals that can be programmed through the timer. 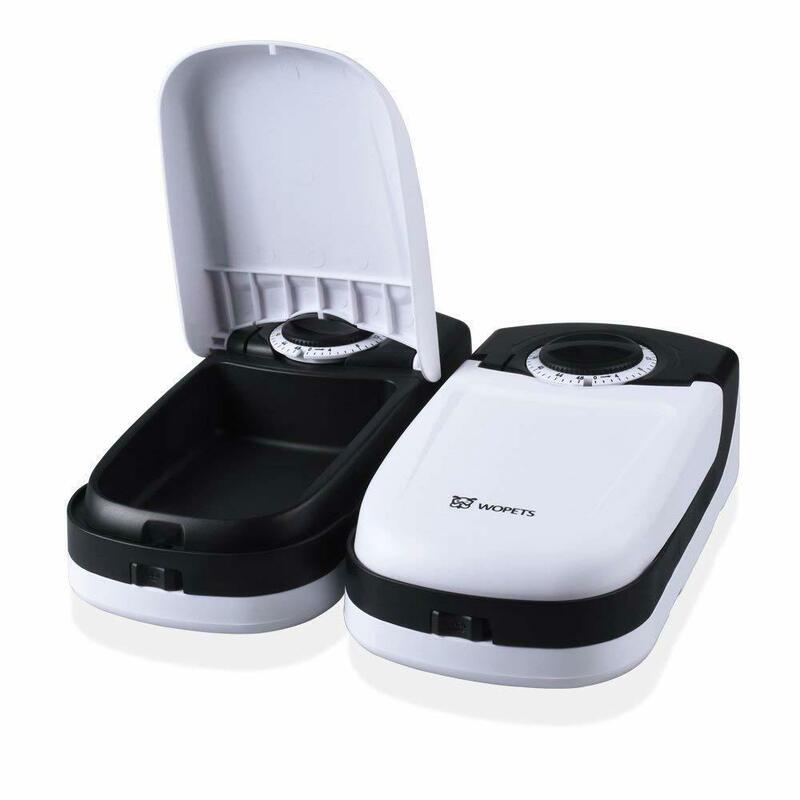 It has an inbuilt infrared sensor that keeps the machine from free of food blockages and dispensing food whenever the bowl is full. With PetSafe Automatic Pet Feeder you can easily schedule up to 5 meals for your cat every day. It is dishwasher-safe and has a digital timer that makes it very convenient for users who are not tech-savvy. 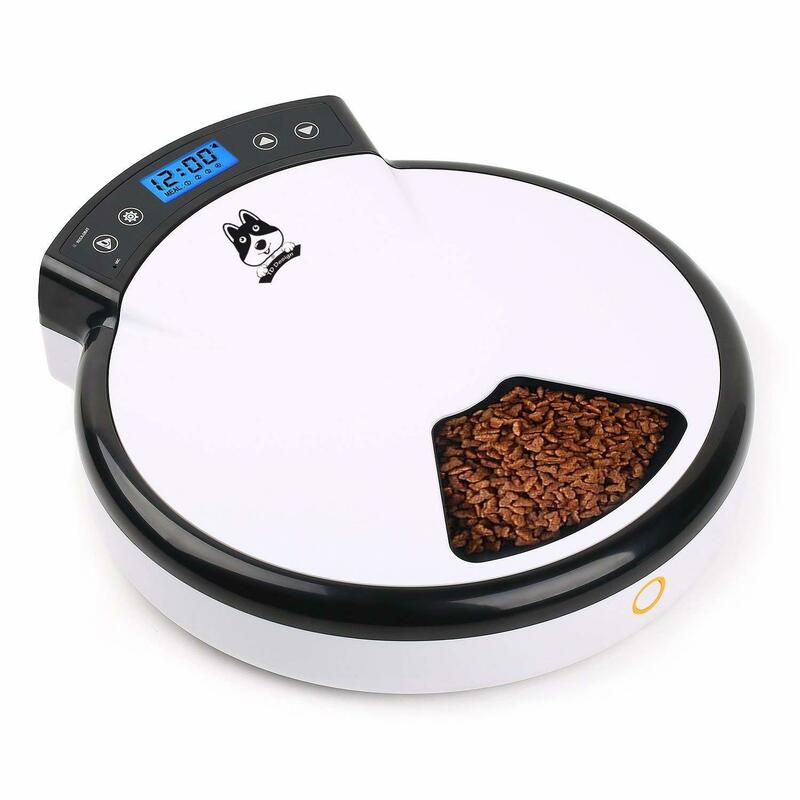 The PetSafe Healthy Pet Simply Feed Automatic Feeder is one of the best options for those who have more than one cat. This automatic feeder can distribute up to 12 meals a day (1/8 - 4 cup portions). It is built to dispense both dry and semi-wet foods. It also has a slow feed mode that puts out your cat’s food over 15 minutes which keeps your cat from binge eating and ending up bloated. 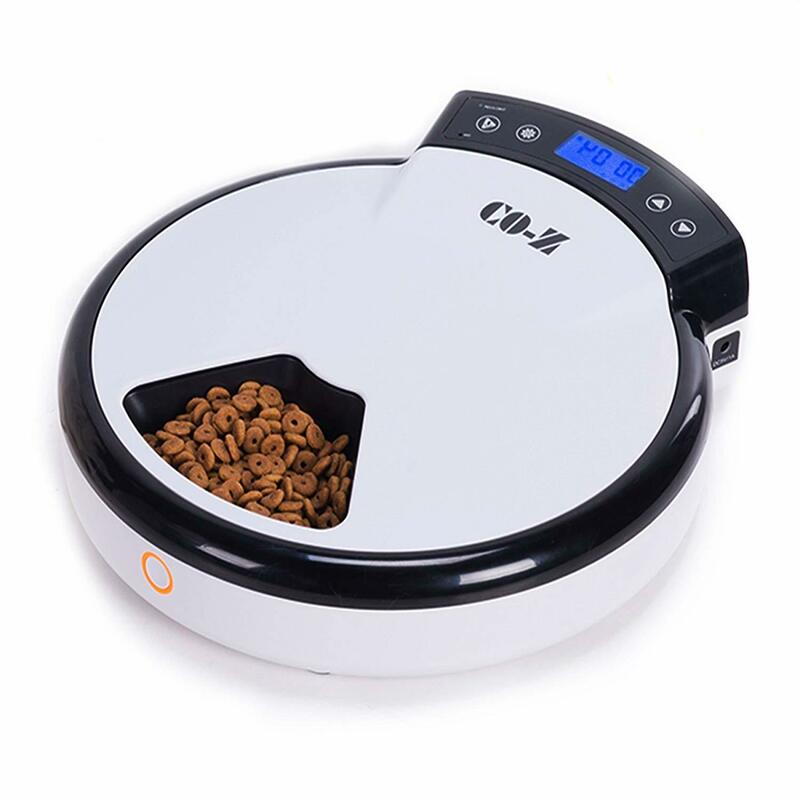 The CO-Z Automatic Pet Feeder for Dry & Semi-Wet Food is perfect for those who like to feed their cats both dry and semi-wet food. 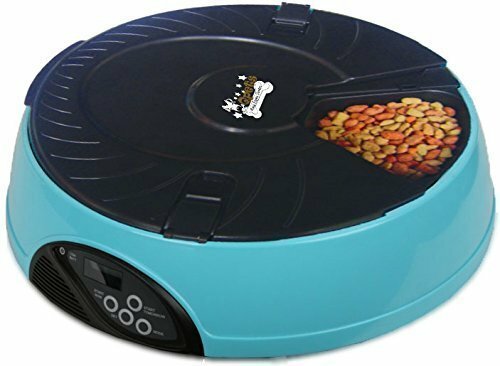 This automatic cat feeder comes with a battery backup power supply which means that your cat will be able to feed even if the power goes out. 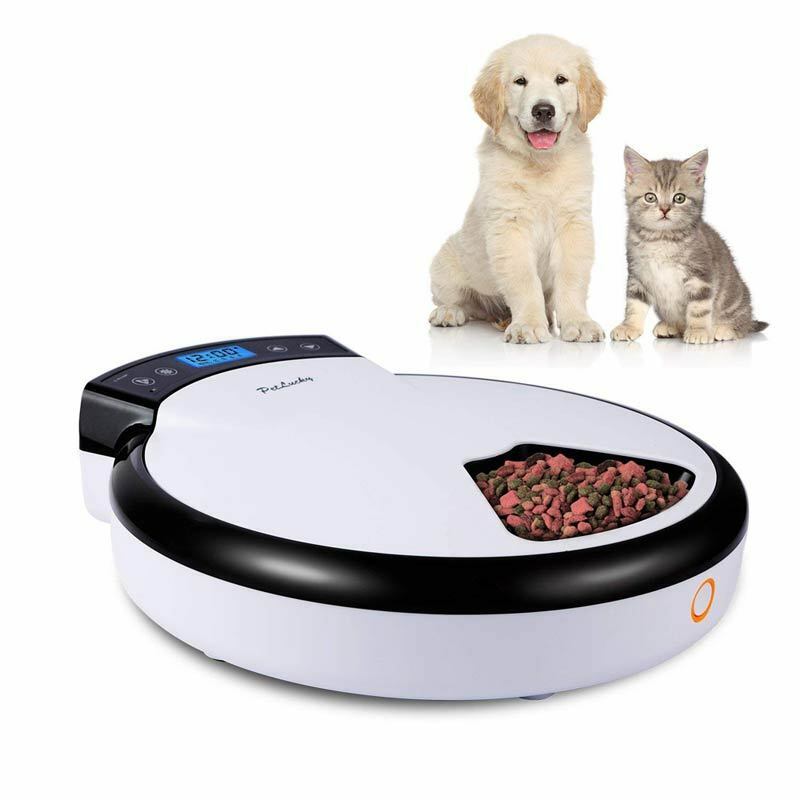 The Gempet Automatic Pet Feeder for Cats and Dogs comes with five individual feeding compartments for both dry and semi-wet foods. 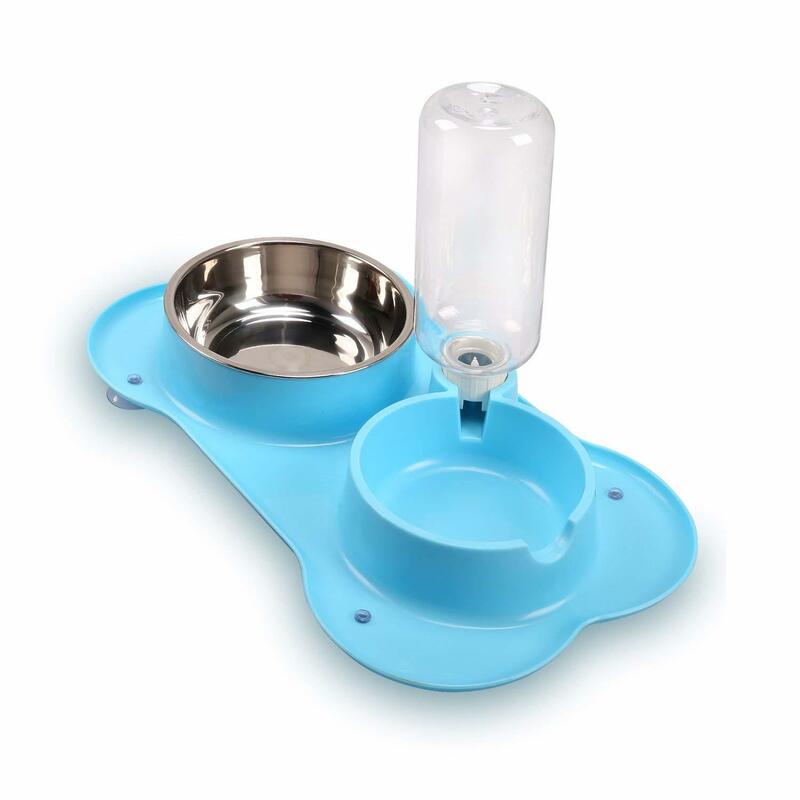 This highly customizable feeder is ideal for those who want to offer their pets more of a daily feeding consistency. 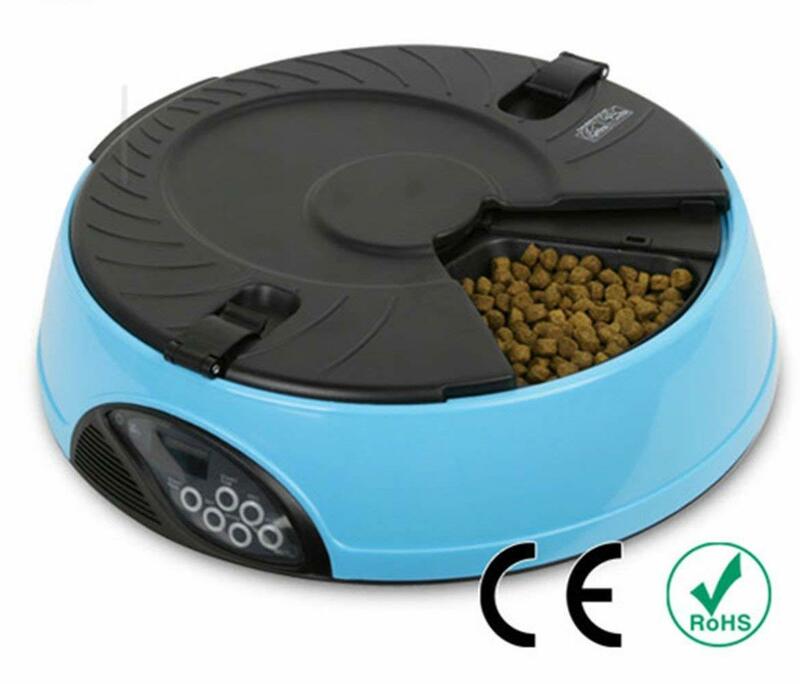 The Petlucky Automatic Pet Feeder with Voice Reminding has five separate food trays for both dry and semi-wet feeds. It also has a low-battery indicator that ensures your kitty does not miss any meal times. 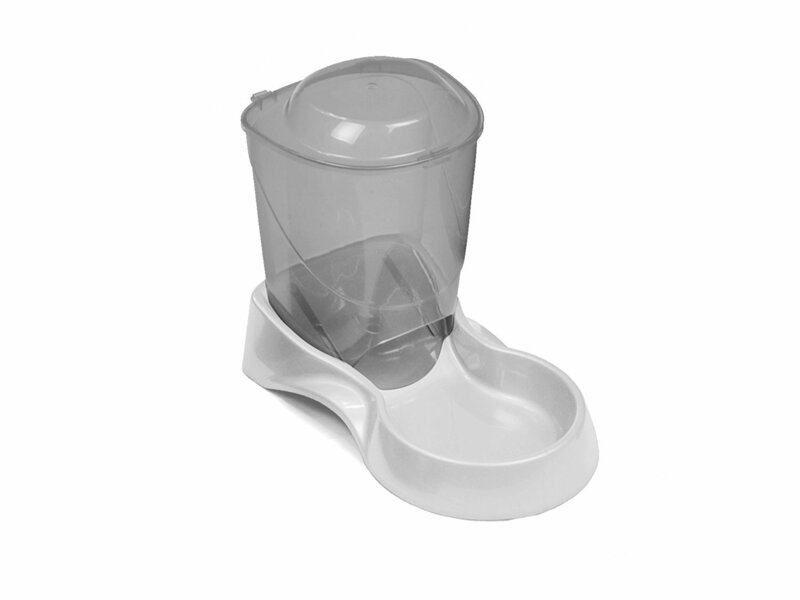 The WOpet Automatic Pet Feeder 2-Meal with Ice Pack can be filled and forgotten about for up to two days. It holds two wet-meals for your cat and has a simplistic countdown-dial that allows you to conveniently schedule the meals. The SUNLIGHTAM Automatic Pet Feeder is built using environmentally friendly PP plastic that is also pet-safe. It can store up to 3.5 liters of dry cat food and is easy to use as well as clean. The Wangstar Double Pet Bowls with Automatic Water Bottle is simplicity redefined. Despite not being mechanically automated, it does have a water bottle attached that dispenses water automatically. It is ideal for when you have to rush out for a few hours but still want to make sure your cat is fed. 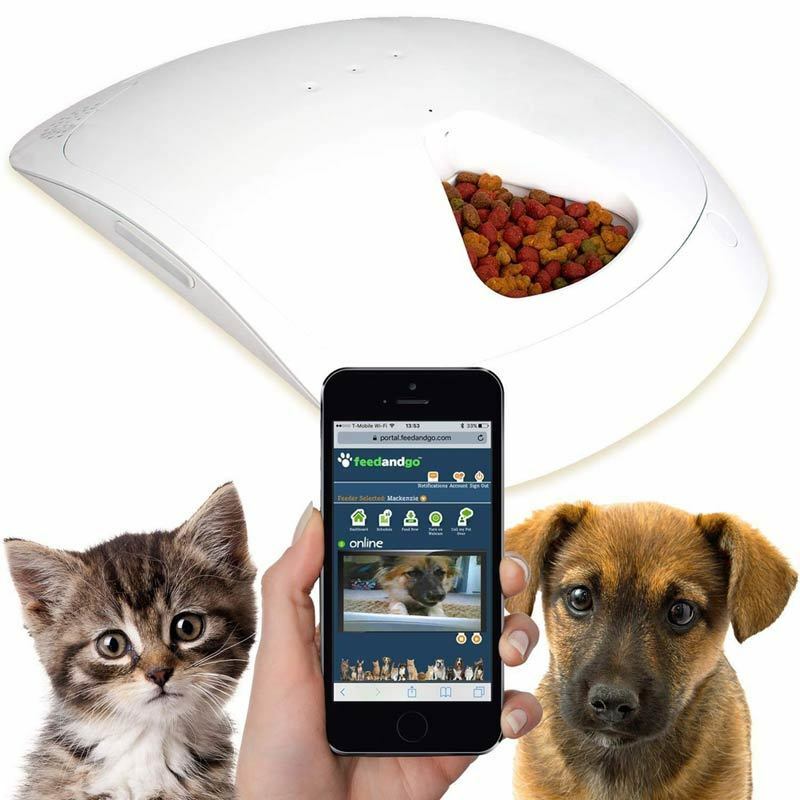 The Feed and Go Smart Pet Feeder with Built-In Webcam is a smart feeder that has wonderful features such as the capability to connect to an app as well as a built-in webcam so you can see what your cat is up to. It is perfect for both wet and dry foods. 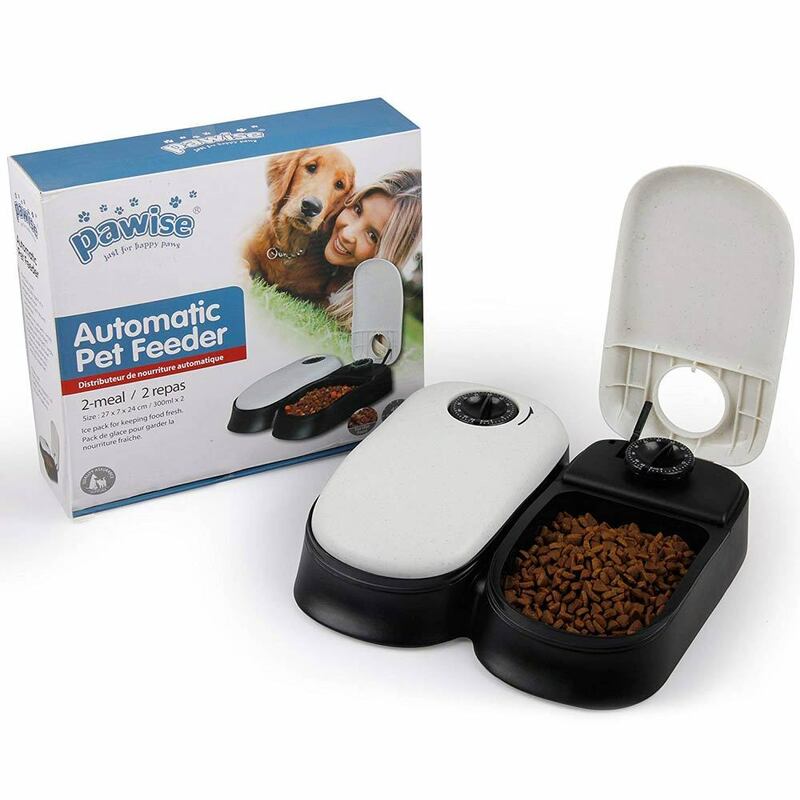 The Pawise Automatic Pet Feeder 2-Meal Food Dispenser is battery powered and can keep your cat's favorite meals fresh for 48 hours. 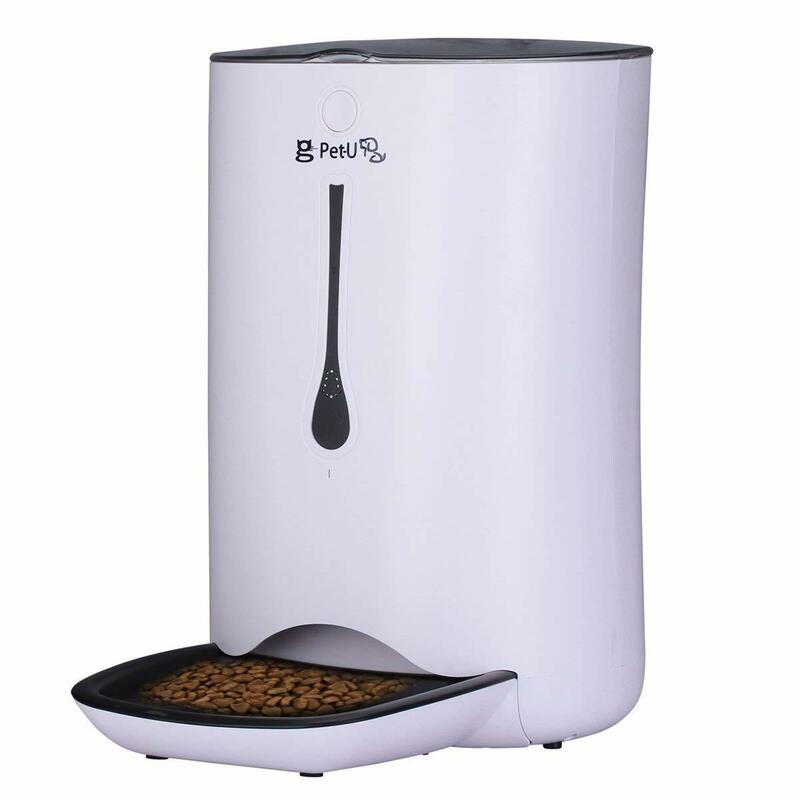 The PYRUS Automatic Pet Feeder with Separate Compartments has six compartments that allow for the perfect customization of meals. It also allows for the customization of feeding times as well as offers a 10-second voice recording option to remind your cat to eat. 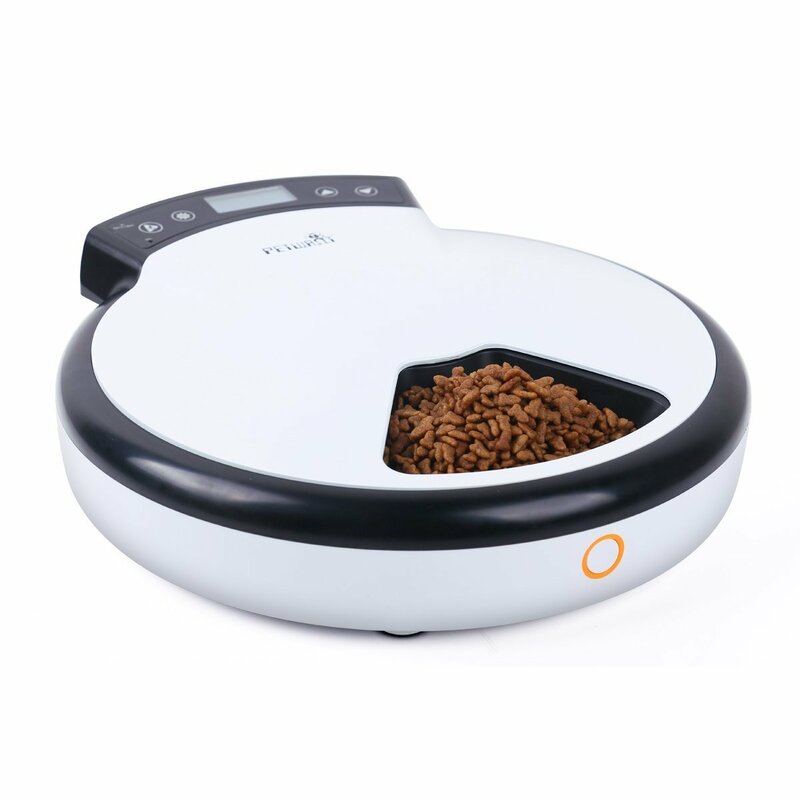 The Qpets Automatic Pet Feeder offers six separate storage compartments that allow you to prepare dry, semi-wet and wet meals for your cat. These foods can be dispensed over a span of 24 hours. 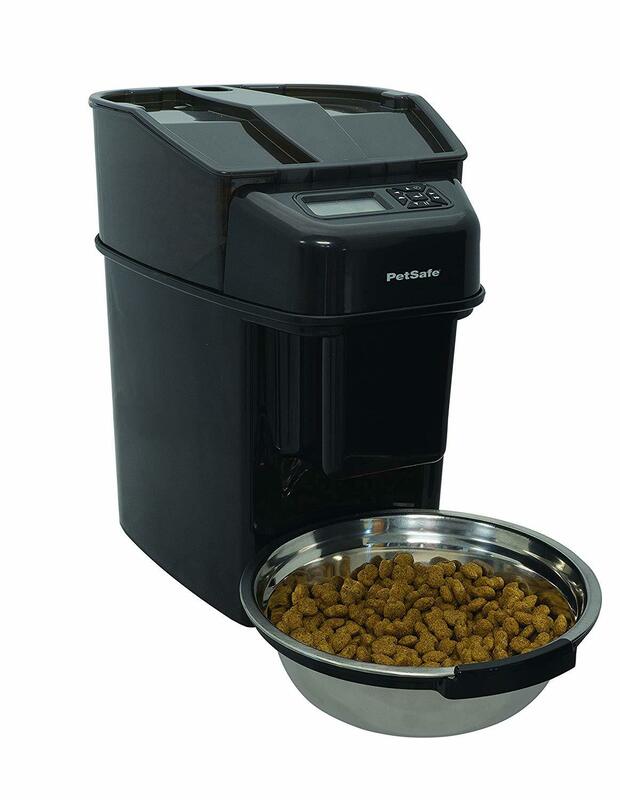 The TD Design Automatic Pet Feeder is a slick feeder that can dispense food up to 5 times each day. It can be used for dry as well as wet foods. 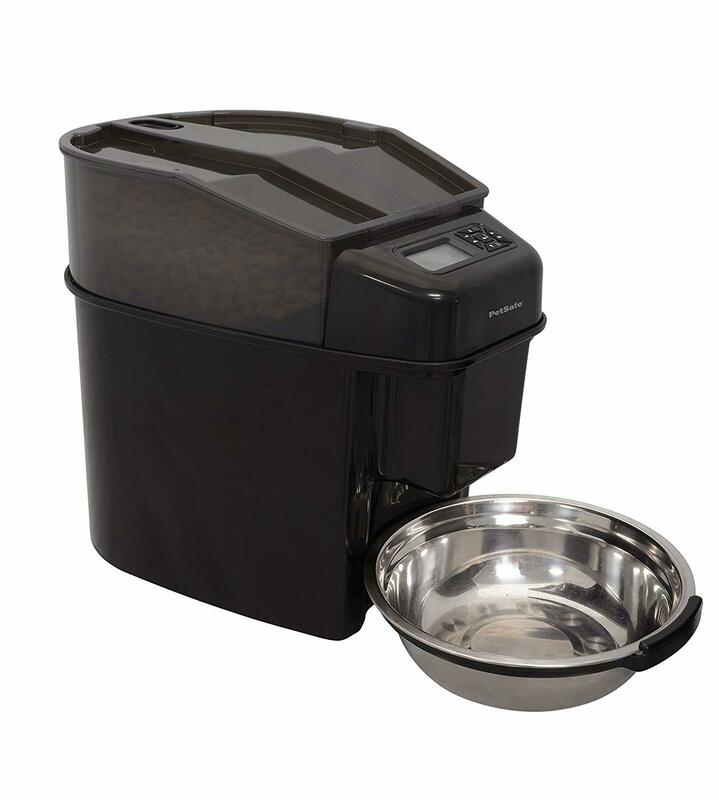 The Van Ness AF3 3-Pound Auto Feeder is an automatic cat feeder that does not require power to run. It is a simple, economical, and easy to clean choice for your cat’s feeder. ​​​These are some of the most convenient automatic cat feeders on the market today. Although they differ greatly regarding features, mechanization,and price, they all perform the same basic function: keeping your cat well fed when you are away.